A little over a year ago, we directed your attention to a large warehouse at the southwest corner of 11th & McKean. Gil’s Wholesale operated out of this building for many years, selling candy, ice cream, paper goods, and cigars, among other sundries. In 2016 though, the business picked up and moved to Glenolden. We can only speculate on why this happened, but we’d bet that the reason rhymes with the phrase “mower faxes.” With Gil’s moving to the ‘burbs, their old digs were sitting vacant, representing a development opportunity. The only problem was, the property wasn’t listed for sale. And it wasn’t even available, in case you were interested (trust us, we called and made an offer). 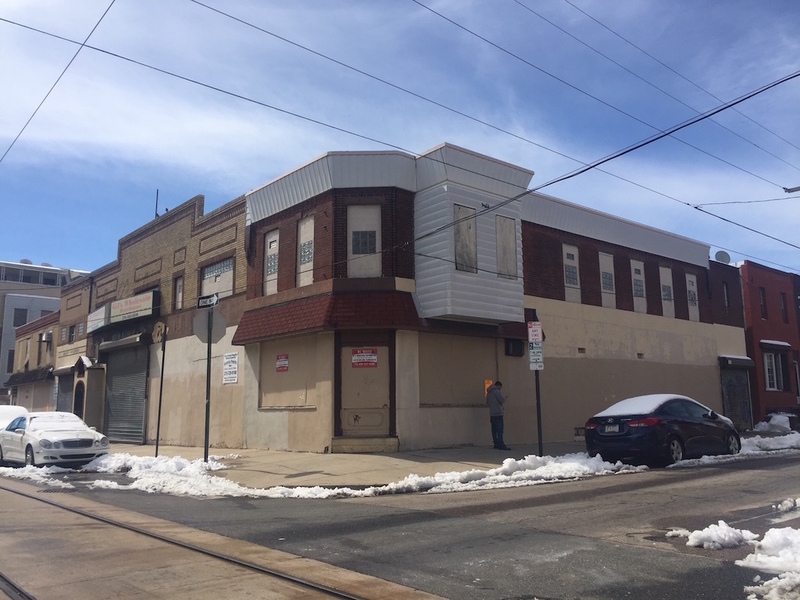 When we spoke with a representative from Gil’s, they hadn’t decided what they were going to do with their former home, weighing the options between renting it out to some other business in need of a warehouse in South Philly or selling it off to someone with an eye toward redevelopment. A few months later though, we learned that the property was indeed available for purchase, but with a seven figure price tag. We figured it was only a matter of time before a developer would come forward to buy the property. And wouldn’t you know it, the time has come. 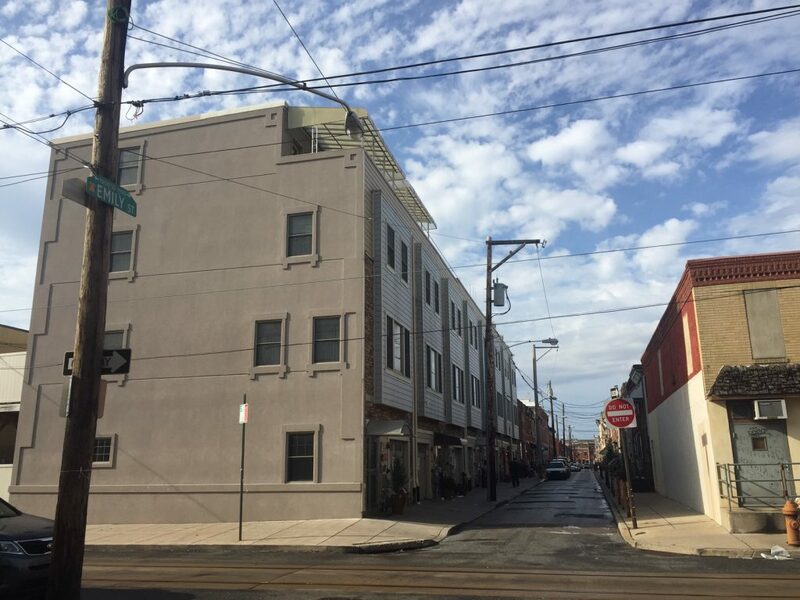 Earlier this month, a developer came before the East Passyunk Crossing Civic Association with a plan to relocate the lot lines and build eight homes on this property. As the parcel is zoned for commercial use, this plan needs approval from the ZBA, and of course the first step in that process in presenting to the community. According to a reader that attended the meeting, the project was generally met with support, though neighbors were somewhat concerned about the height of the proposed homes, lead abatement during construction, and street trees. While we can’t make a perfectly educated comment about the project without seeing a site plan or renderings, the gist of the project certainly makes sense. A warehouse worked at 11th & McKean a hundred years ago and probably even seemed like a good idea twenty years ago, but given the popularity of nearby Passyunk Avenue and the successful Bok reuse a couple blocks away, this corner screams for residential redevelopment. We can appreciate the concerns about the height of the new homes, but that’s surely a result of the inclusion of parking on the first floors of these homes, and we suspect everyone worried about height is willing to trade it for parking. The developers expect to sell these homes for prices ranging from $600K to $700K. Those numbers make sense in a vacuum, even though there aren’t too many comps for new construction homes with parking in the immediate area. The best comps are across the street, on the 1100 block of Emily, where homes sold in the mid-$300K range when they were built in 2011. Most recently, one of the homes traded at $435K about a year ago. That’s a big leap to $600K, let alone $700K, but we’ve never been inside any of the Emily Street homes and perhaps the proposed homes across the street will represent a dramatically different quality of home. Give it a year or so, and we should be able to find out. With the caveat, of course, that the ZBA has to first provide their approval before anything can get built.